Should I use hardware acceleration in Chrome? That is one of the commonest questions among Chrome users who come across “Use hardware acceleration when available” feature in their browser. 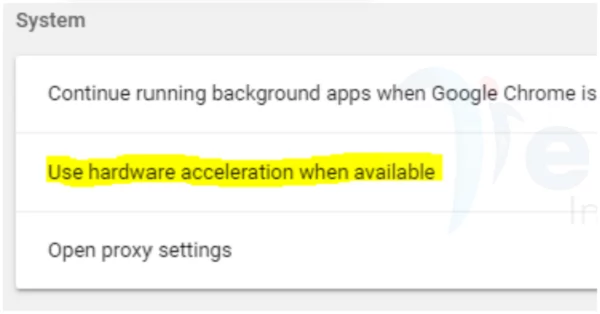 “Use hardware acceleration when available” made it to the list of top 10 Google Chrome settings you may consider changing. “Use hardware acceleration when available” was one of the settings recommended to be enabled, but I did not talk in detail about the feature as that would have digressed the initial topic of discussion. So I have to write this specifically for all the Chrome users who do not really know the function of “Use hardware acceleration when available” when turned on or off. As it is in other settings within the settings of Chrom, you will have to relaunch the browser after each modification to the existing settings. So what does the hardware acceleration do? So stay through to know the pros and cons of “Use hardware acceleration when available” in Google Chrome browser. “Use hardware acceleration when available” is the feature that is responsible for the tasks associated with displaying pictures and text and videos. You know, you cannot browse without at least an image on the website. But this does not mean that images on the page will not display when “Use hardware acceleration when available” option is turned off, but will display effectively. But most times, you make have issues when the option is enabled, though that may depend on the version of Google Chrom browser that you are using. Google Chrome black screen after minimize is usually caused by this Chrome feature so take note, should in case it happens after enabling this feature on your browser.